It rained yesterday in the Western Di­vision and yes, there was certainly an atmosphere of joy and happiness. 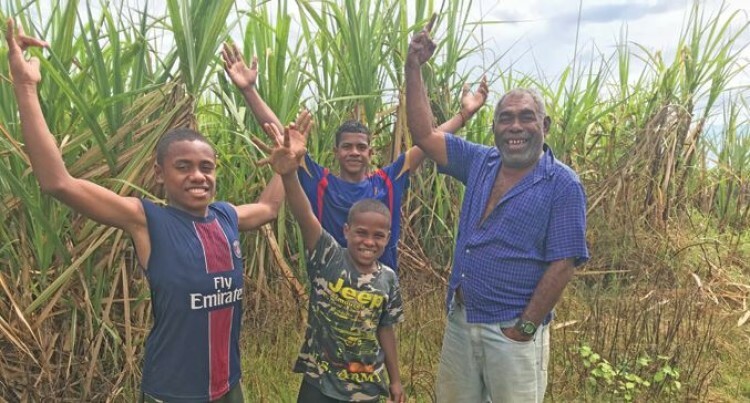 In Lautoka, sugarcane farmer Inoke Na­vunilagi, 57, of Lovu said he was at first speechless when it rained. “I’m finally happy because it’s been dry for a very long time,” said Mr Navunilagi. He had been waiting inside his house pa­tiently for some rain becuase his cane crop was dying out. “I always hoped that it rained, but it nev­er did,” he said. Mr Navunilagi had lost a majority of his ratoon (new shoot or cane sprout) as a result of the dry spell that had affected some parts of the country for the past few months. The disparity is sugarcane ra­toons was clearly visible on his sugarcane field. “All the farmers are celebrating this rain. The dry spell had severally affected graz­ing for my cattles. Looking at my livestock, green pasture will soon return,” he said. Meanwhile, enjoying the public holiday, Navitalai Vunisa, 15, was seen splashing around in the rain with his friends. “It’s been so long and now we’re happy at last,” he said.